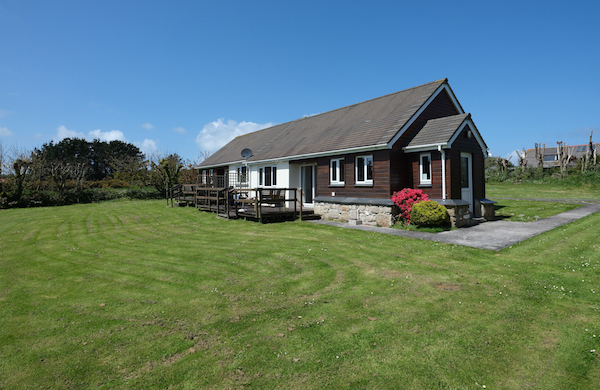 Shamrock Cottages are beautifully appointed, four-star holiday homes with a wide range of modern facilities. The accommodation sleeps up to six guests in two bedrooms, each with a double and single bed arrangement. They are equally suited to groups of four or couples who require just one bedroom. In such instances, the owner is open to negotiation. The kitchen is fully-equipped and includes a dishwasher, separate fridge and freezer, washing machine and tumble dryer. The comfortable lounge benefits from an abundance of natural light and contains French doors, which open to a raised deck, perfect for al fresco dining, and on to a landscaped garden. A modern shower room completes the internal arrangement. Located in a rural setting about a mile-and-a-half from Hugh Town, Shamrock Cottages are a pleasant 25-minute walk from the town and quay, and the local bus stops outside so all island amenities are within easy reach. For larger groups of up to 12, Shamrock 1 can be booked together with Shamrock 2.